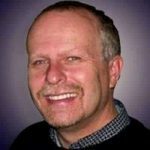 Conclusion – Is The Behringer PMP6000 Right For Your Church? Mixing your sound to a fine degree is really important when you care about quality. Whether you want to get the most out of live performances, or if you are attempting to fine-tune things in the studio, then you will want access to a good mixing board. The right mixing board is going to allow you to adjust your sound system when you are just playing house music, too. It can provide you with the optimal sound experience that you have been looking for. 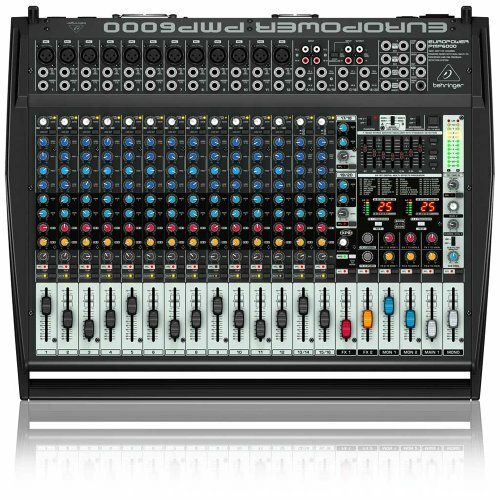 If you are on the market for a good mixer, then you may want to give the Behringer PMP6000 a look. For those who don’t know, Behringer is a reliable company that has been producing professional-grade music equipment for a long time. They have a bit of a reputation for providing quality products while still managing to keep the prices very reasonable. All of this rings true when you take a look at the PMP6000. In order to determine whether or not this mixer is going to be right for you, it is important to take a look at all of the specs and features. You will be able to figure out if this is going to work out for your needs, or whether you will need to look into something more expensive. This is definitely a good product, but it is important to consider your situation carefully before purchasing new equipment. You can make an informed purchasing decision once you have gone over the details. A good mixer is going to appeal to many different types of people. Of course, musicians will love having access to a mixer. It will allow them to fine-tune their music and play around with different settings. Owning a mixer is essential when you are trying to accomplish many different things. Both professional and amateur musicians are going to want to own a high-quality mixer like this. DJ’s also need access to mixers like this. Many DJ’s will use these types of mixers in their live performances. Even DJ’s that are just playing the hits for parties will need to mix the audio just right. A unit like this will be great for taking around to different gigs. You can make sure that you have everything just right so that your sound comes across with the right power. Audiophiles like having access to mixers, as well. It allows them to adjust the sound to their liking so that they can get the full experience. 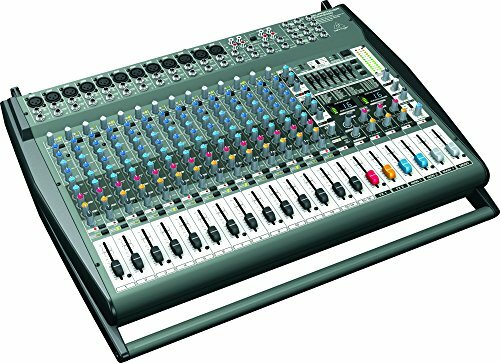 Concert venues and businesses even make use of mixers like this to ensure that the sound coming through a PA system is just right. It has many uses and will certainly come in handy. To add to this, churches are common customers that purchase mixers of this quality. Mixing the sound for a church performance is very important. Worship music is a big part of the church experience, and getting the sound just right is imperative. A high-quality mixer like this will do a great job of ensuring that things sound great. You won’t be getting much in the box aside from the mixer itself. It will be coming with a little bit of information in the form of a small manual, but that is about it. This means that you may wish to order extra cables along with this mixer unit. If you are in need of mic cables and other particulars, then you will need to order them separately. The features are where this mixer really starts to shine. You will be able to count on getting a great audio experience when you make use of this unit. It is an ultra-compact 2 X 800-Watt stereo powered mixer. It also has a 1600 Watt bridged mode. The Class-D amplifier technology that is used in this unit will provide you with enormous power. 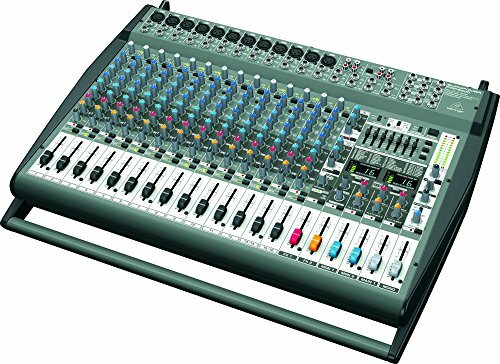 You can use this mixer to ensure that you are getting a full sound that will blow people away in a live environment. All of this power is possible even though the unit itself is lightweight. It has a big punch for something that isn’t all that large. You can expect the 20-channel mixer section to provide you with 12 mono channels and 4 stereo channels. You can also make use of separate inputs and outputs for various devices. For instance, you can have a CD deck or a tape deck hooked into this unit. It really is very versatile and provides you with many options. The two studio-grade 24-bit stereo FX processors will be a big selling point for many people, as well. It can give you many different effects that will help your performances to stand out. There are 100 presets that you will be able to make use of right away. Some of the most popular effects include reverb, flanger, chorus, pitch shifter, delay, and many multi-effects. 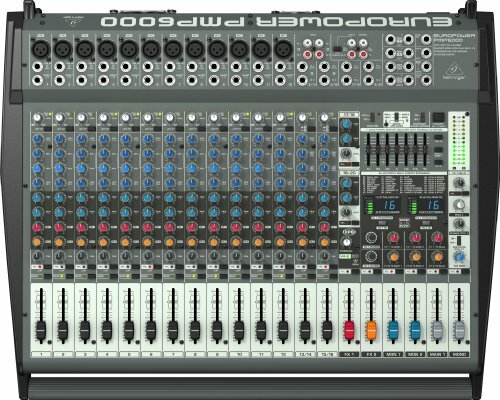 If you want to look into one of the better alternatives to the Behringer PMP6000, then you may be interested in the ammoon 12OS-USB 12 Channel Mixer. This is a budget unit that actually comes in at an even more affordable price than the PMP6000. It is not quite as fully-featured, but it is somewhat comparable. If you want to save a bit of cash, then it could be good to go with this unit. 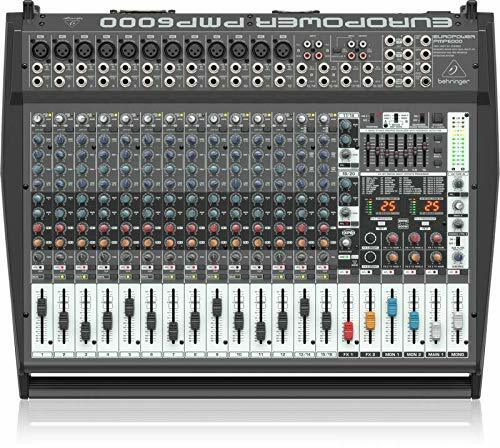 The Behringer is the better pick overall, but this will work well for your needs if you decide to purchase it too. 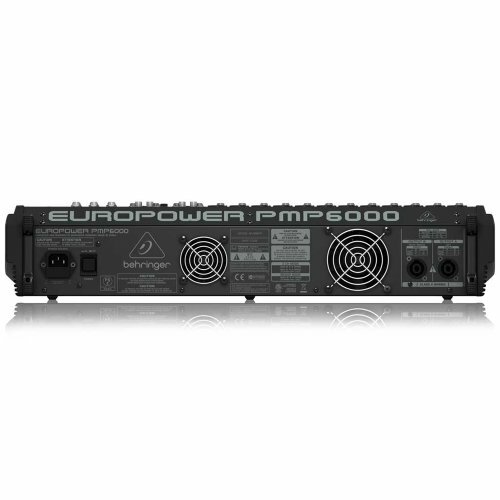 You cannot go wrong if you decide to purchase the Behringer PMP6000. It has all of the connections that you need for various instruments and will help you to mix sound masterfully. You can get the best experience possible while also having access to various useful effects. It is a truly great mixer unit that is also very cost-effective. Anyone who needs a mixer that is professional-grade will love this product. It is useful for both professionals and amateurs. There are even more affordable options on the market, but they don’t quite stack up to everything that the PMP6000 has to offer. Definitely, think about buying this if you are in need of a high-quality mixer.